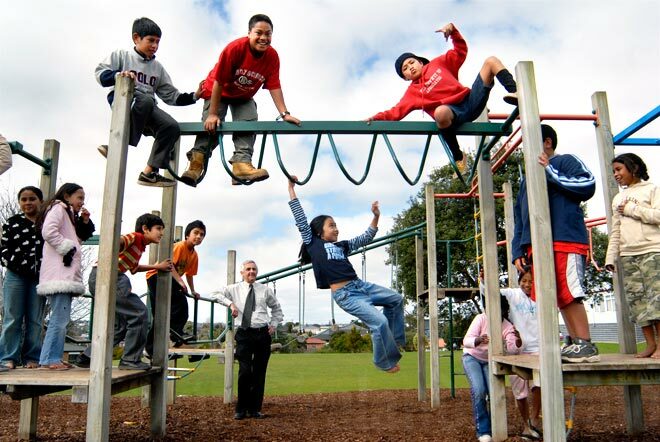 Children play on the monkey bars at Kelston Primary School, Auckland, in 2007. In contrast to earlier playgrounds, the Kelston school playground has a soft bark-chip surface under the play equipment. Concerns over playground safety in the 1980s led to major changes in equipment and surfaces.